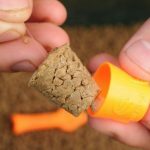 Since its development in the mid-2000s, the pellet cone has revolutionised cold-water commercial carping. In the past, the choices where either to use some form of feeder, but running the risk of over feeding the swim, conversely, you could go negative and use straight bomb and corn tactics. 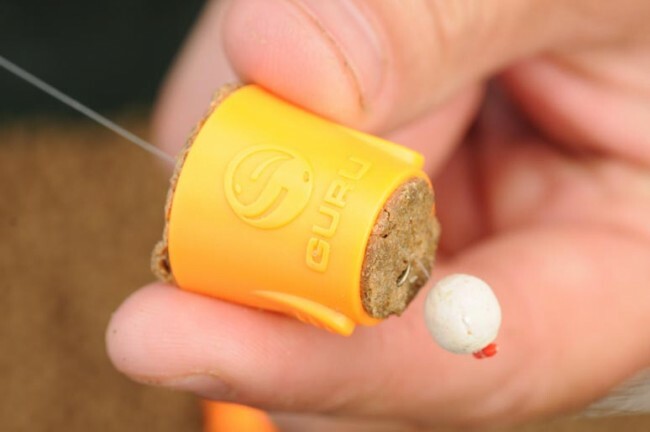 The beauty of the pellet cone is that it sits neatly between the bomb and the higher loosefeed tactics of a pellet feeder or small Method and it has helped me to win more than the odd match or two in the past. Early season the water in the nation’s stillwaters is as cold as it is going to get all year so it is always best to err on the side of caution. For me, the cone allows you too perfectly regulate the amount of loosefeed you’re introducing. 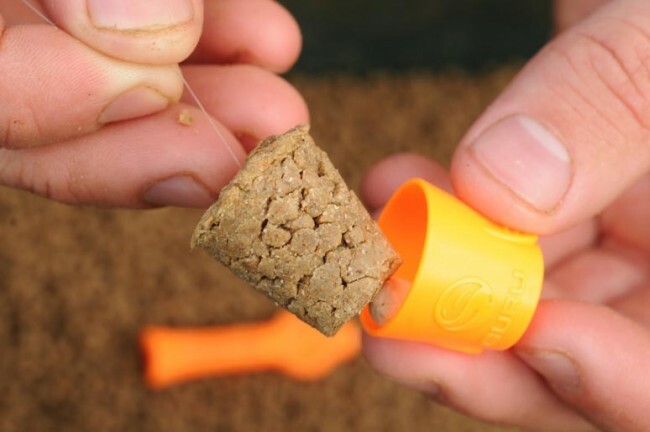 The first advantage of the pellet cone over say the PVA bag is that when the water is really cold, a PVA bag could take up to five-minutes to dissolve. Also, when I fish the PVA bag, I like to use Dynamite Baits’ 4mm or more often 8mm XL pellets. At this time of year, you can very easily overfeed the swim. In comparison to the Method feeder, regards the pellet cone, I can alter the size of cone, every cast if needs be. A Method feeder has to be fully-loaded every time so the presentation is correct. 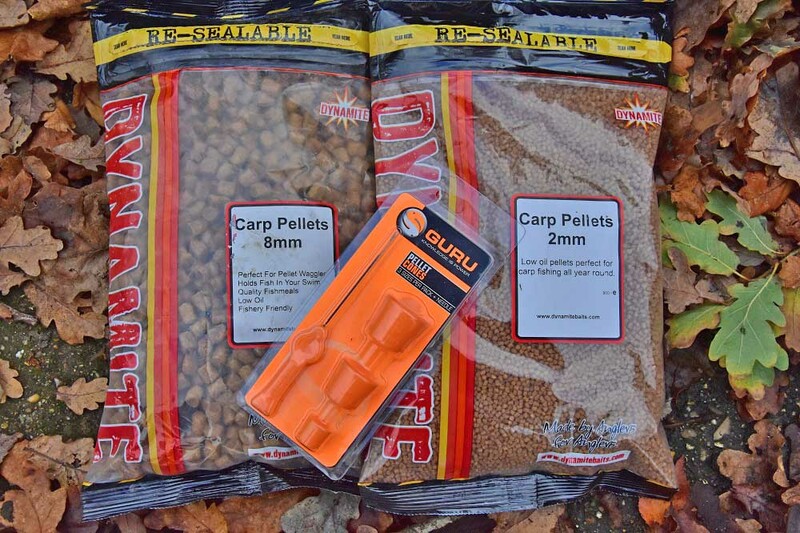 This will see me loosefeeding around 10-times the amount of 2mm XL pellets every cast than I will when fishing the cone. 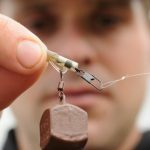 By only feeding a minimal amount every cast, you are able to cast around, rather than building one area, as you would with the feeder if you see a showing fish for example. 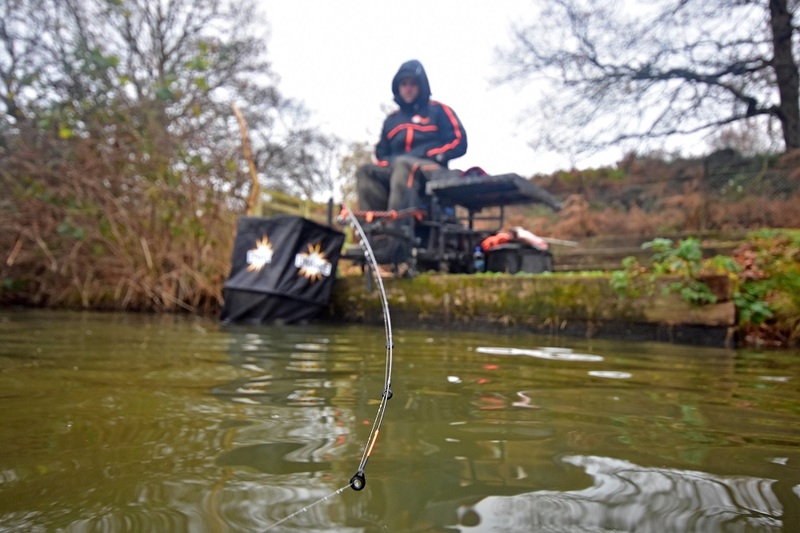 This is important because when the water is cold, the fish will often be tightly shoaled, so casting around, you can often fall on the shoal or alternatively get lines bites, which helps you to track down where the fish might be sitting. Thirdly, there are no rules that you have to use pellets as the loosefeed. The one thing to remember, regardless of what you load the cone with, is to ensure it is well compressed I always have a couple of cones filled with bait between casts. 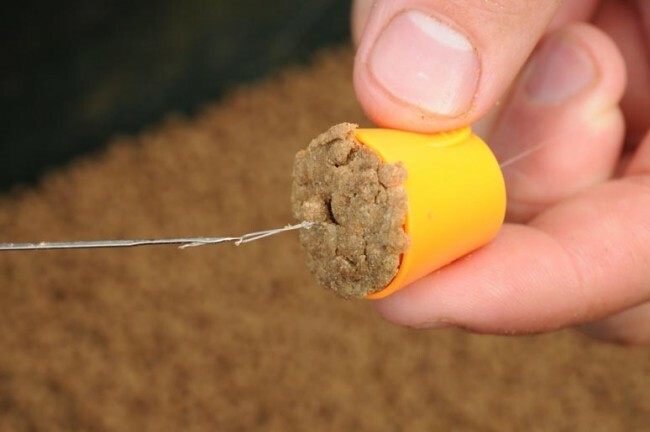 I then squeeze the bait into the cone a few times prior to rigging it onto the hooklink and casting. 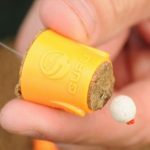 This ensures that the cone doesn’t burst upon impact with the water, which would see you effectively fishing a straight bomb over a very light smattering of loose feed, rather than a neat pile around the hookbait. 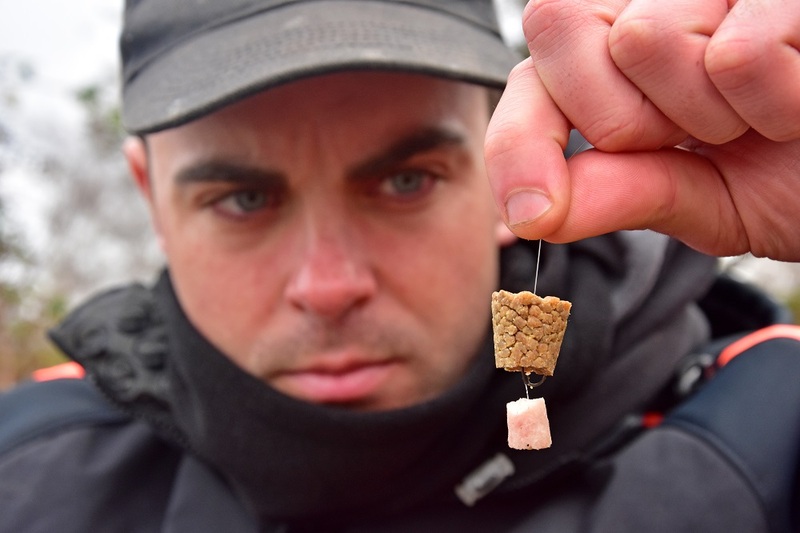 With the hookbait, you day my choices were either an 8mm Dynamite XL pellet or a simple 10mm punch of plain luncheon meat. 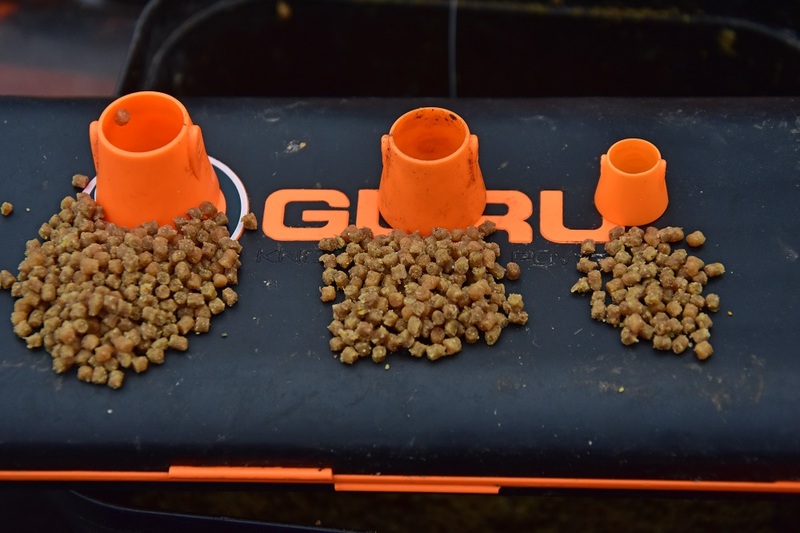 I like to use a big hookbait so that it standout well over the small micro pellets and/or groundbait, so it is hopefully the first item the fish picks up when they come over the loosefeed. 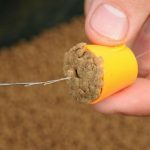 As well as ensuring the loosefeed is well compressed, the other big mistake made by novice cone anglers is using too light a bomb. Even if I was only fishing 25-yards out, I would still use a one-ounce-plus bomb. The reason for the heavy bomb being is that if I used a much lighter weight – under one ounce – I would end up casting the cone, not the lead. This means the 10-inch hooklink will tumble and ‘windmill’ through the air and the rig will tangle nearly every time. Either that, or the cone will explode on the cast! Also, well as easier, the larger weight amplifies the bolt effect. The rest of the tackle is very standard. A typical 11-foot feeder rod, 8lb Pulse mainline to a free-running bomb and a 0.22mm (5lb 8oz) Pure Fluorocarbon hooklink to a size 10 QM1 hook. The one thing I do like to add at this time of year though is a three-feet length of 0.30mm Pure Fluorocarbon as a leader. 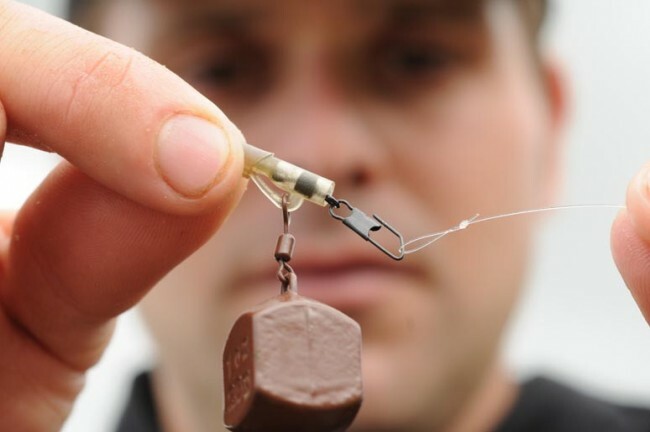 The same way a carp angler would use a length of leadcore. It ensures the line behand the lead is pinned to the floor, well out of the way of the feeding fish. When the water is really cold, I’m looking for fish at a time, not a bag of fish. This means making very few casts and really sitting on your hands. In a five-hour match I might make as little as eight casts. You need to give the fish time to find the bait and get the confidence to take it after the disturbance of the large lead entering the water. The thing that has really revolutionised my fishing is the use of a stop watch. This means I can precisely time each cast. I’m looking to leave the rig out for 35-minutes at a time and by having the watch it allows me to accurately do that.